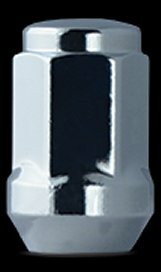 What Type Of Lug Nut Should I Use? Hottest trends and topics on Truck Rims including off-road, 4x4, and lifted trucks; and all the rave about custom wheels for street rods, pony cars, resto-mods, and muscle cars. 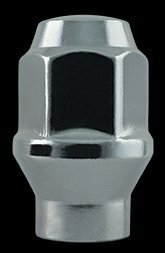 Which style lug nuts should I use with my wheels? 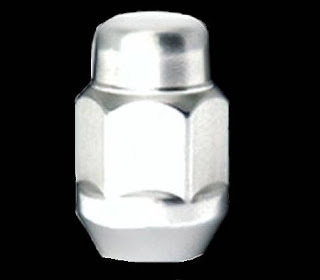 Many people have bought a set of wheels at a local swap meet, from a friend, or even an online auction and need lug nuts to install on their newly purchased rims. Or they want to replace their current lugs to freshen up the look of their wheels. Choosing the proper lug nut is critical. Also there are some wheel retailers that do not include the lug nuts with the wheels and sell them separately. At Wheelsforless we include at no charge the proper lugs for the wheels. Different type wheels use different lug nut types, and using the wrong type lug means the wheels will not be fastened properly and cause damage to the wheel, vehicle, or even injury if the wheel comes off the vehicle. 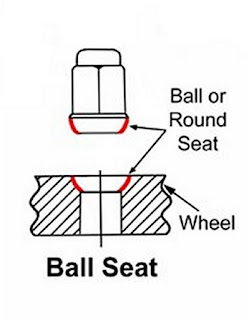 First you will need to determine the proper lug nut seat type. 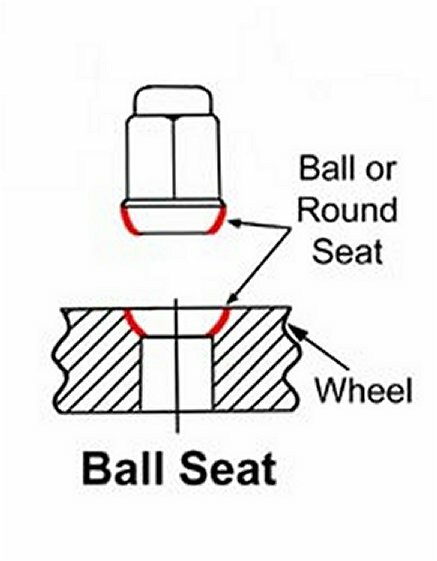 Nearly all wheels have one of three lug nut seat types which are cone seat, mag with washer seat, and ball seat. Thankfully today's wheels rarely use the old mag and washer seat. When aluminum wheels were originally introduced they used the mag and washer seat. 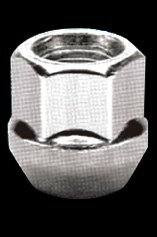 These wheels had a flat surface around the lug hole, and for the lug to seat and stay fastened properly a washer was used to spread the contact surface of the lug nut. 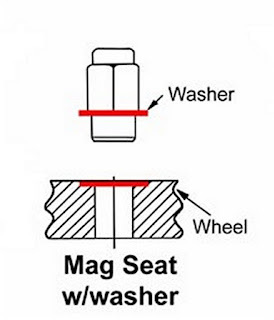 This mag style seat type was proved not to be the best way to fasten a wheel. They were difficult to install, and were susceptible to improper installation binding up in the lug holes and not fully fastening flat against the wheel. 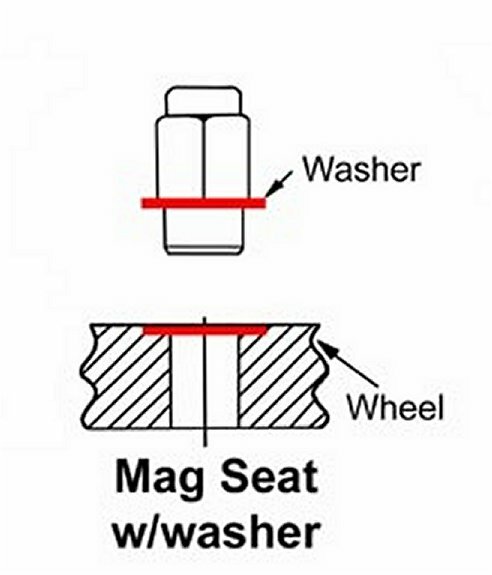 Here is an drawing showing the mag and washer seat type. Notice the flat surface around the lug hole, the shank of the lug that goes down into the inner lug hole, and the washer that ensures a flat contact to fasten the wheel. If you have older wheels with this flat surface around the lug hole, you cannot use a conical or ball seat type lug. If you do your wheels will not stay fastened and you are endangering your well being. Just because your wheels are going on a European car does not mean the wheels are ball seat. Many aftermarket wheels made for the U.S. will have the conical 60 degeree lug hole even though they are made for European cars. The final thing that needs to be determined is the proper thread diameter. This is not determined by the wheel style or lug type, but the year, make, and model of your vehicle. Thread diameter is the diameter of the stud measured at the outer edges of the threads. "Thread Pitch" for non-metric applications refers to the number of threads per inch, and for metric sizes it is the distance in millimeters between threads. So if a lug size is referred to as 1/2"-20, then the lug fits a stud with 1/2" diameter and uses 20 threads for one inch. 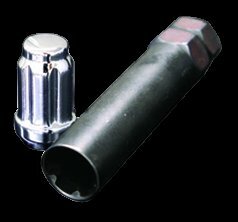 You can find most vehicle's stud size in the owner's manual of the vehicle or use an available application guide as a reference. Some older Chrysler and Ford cars use left handed lugs on the right side of the vehicle. These left handed lugs tighten by turning counter clockwise instead of clockwise. In the '60's and even into the '70's some car and truck manufacturers thought that having the lug tighten counter clockwise would help ensure the lug from backing off on the passenger side of the car. 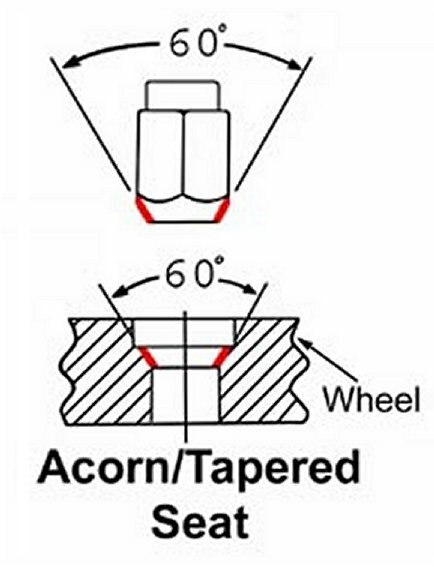 Wheelsforless has a lug pack with 10 left hand and 10 right hand 1/2" acorn lugs. We are often asked if there is any connection between Wheelsforless and the Canadian company Wheels For Less. There is not. Wheelsforless is located in Texas and is not affiliated with any other company. We are the original Wheelsforless.com online company, and have been selling online since 2000. Hundreds of thousands of customers have bought online from us over the last 18 years, and we strive to offer the best customer service in the business. Something new for 2018 is being introduced by Moto Metal. It's their latest innovation they call the Moto Metal MO989 Change Up. There has been a trend in recent years for manufacturer's to have inserts that fit in the center of the wheel. These inserts may come in different colors which allows you to accent the wheel in different color combinations. For 2018 Moto Metal has introduced an insert that can be installed in multiple positions giving the wheel a whole new style. So if you get bored with one set up, just move the insert to a different position and presto, you have a new wheel style. Here are some pictures of position options of the insert and how it makes this wheel look.